Home Blog Tips & Tricks CPUs AMD vs Intel: Which Should be Your First Gaming CPU? Choosing the Central Processing Unit, also known as the CPU or processor, is one of the most important decisions you’ll make when building your PC because it will determine what motherboard you’re going to need. This, in turn, affects the compatibility of every other part. In this piece, I’m going to explain the differences between the two gaming CPU brands and what they bring to the table while keeping it simple. If you’re looking for a desktop processor, you have two options: Intel or AMD. Lucky for you, there’s currently a war going on in the gaming market between AMD and Intel, and it’s a buyer’s market. Capitalism is at its finest when companies are trying to compete for your business. And this competition has born fruit to that; so far we’ve had better prices and better quality products. Both AMD and Intel offer a large variety of CPUs for all sorts of needs, ranging from the guy on a budget to the girl that’s an enthusiast. To get started, let’s take a look at how we’ll be comparing the two brands. Specs. A look at each processor and their specifications. Overclocking. Which processors are locked and unlocked for overclocking, and what you will need to do so. Upgradability/Longevity. Some processors and motherboards can be used for multiple generations, some only a single generation. Value. What each company offers to give you the best value for your money. Gaming. What you’re all really here for. Which processor is the best one for gaming? Can you just show me the benchmarks so I can buy the fastest CPU? I could benchmark each CPU for each task and throw numbers at you, but that doesn’t tell you which processor is the best for what you need. Oh, and if you want to see an excessively comprehensive list of all the most relevant processors and how the rank compared to one another, then you should check out our CPU Hierarchy List. What Are All These Acronyms? Since this is an article that helps introduce some of the fundamentals about CPUs, how about we very briefly go over some of the terms you’re about to see. Keep in mind, this is a watered down TL;DR of these terms. Cores and threads are both parts of a processor. Cores handle various tasks, so the more you have the more tasks your computer can handle simultaneously. At its most basic, threads also help handle more information. Clock speed, measured in Ghz, is how many cycles your processor runs. So the higher the number, the faster it is getting things done. A higher clock speed means you can handle one specific task better. XFR speed and TB speed both refer to the higher speeds you can get your AMD and Intel processor to run, respectively. If a CPU was a factory, then having more cores and threads would be like having more workers, while having more Ghz would me like having faster workers. It’s worth noting that all of the CPUs we talk about below have comparable amounts in both categories, although they do both have their strong suits. This is a measure of how much heat this component is expected to give off. Despite being measured in Watts, it is not a measure of how much energy it consumes. Instead, it’s used so that you know how much cooling you will need to provide to your computer. This is perhaps the most simple. A socket here works like any other socket in that it refers to what it can fit into. CPUs can only fit onto motherboards that support their socket type. In AMD’s corner, we have the Ryzen line of processors. First introduced in 2017, it was quickly a big hit with the consumer market for its high core and thread count and low cost. Until the release of the Ryzen line, AMD’s CPU lines had been stagnant, and significantly behind Intel on speed and multithreading. 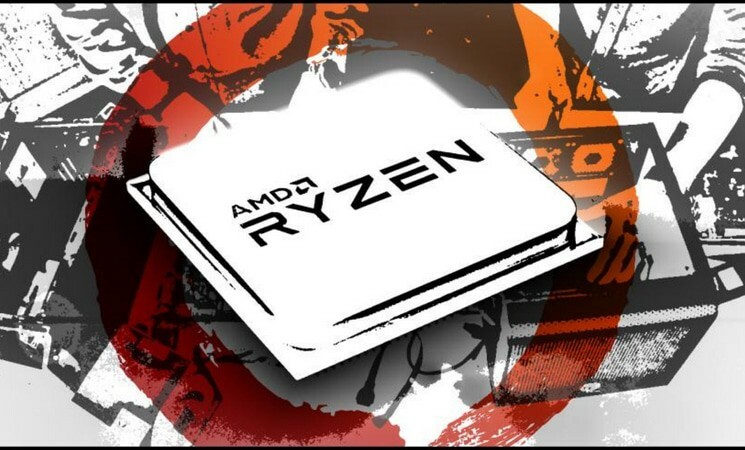 Offering better clock speeds -- although still not as high as Intel -- and a significant step up in multithreading, Ryzen threw AMD back into the competition for the gaming CPU market. Let’s take a look at what the Ryzen line of processors offers. Note - All listings are current at time of article release (July 2019). Prices based on release price and not current market prices that are always in a state of fluctuation. As you can see, AMD’s line of Ryzen processors cover a wide range of core and thread counts, as well as being budget and enthusiast friendly. This isn’t without its compromises though. 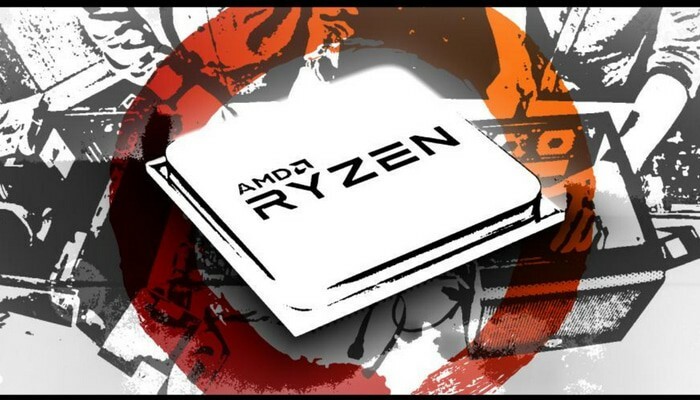 AMD Ryzen base clock speeds tend to hover around the low to mid 3 GHz range Even with Precision Boost they don’t reach 4.0 GHz until the Threadripper comes into play, with the exception of the Ryzen 5 1600X. Something else to note is that every Ryzen CPU is unlocked to allow for overclocking. This makes it a great choice for an overclocked system on a budget. Until the somewhat recent release of AMD’s Ryzen line, if you were looking for a serious gaming CPU, then you’d be choosing Intel. In recent years, Intel has dominated the gaming CPU market. Offering high clock speeds and good multithreading, the Intel Core family was a no-brainer for gaming. Times haven’t changed in that regard though. 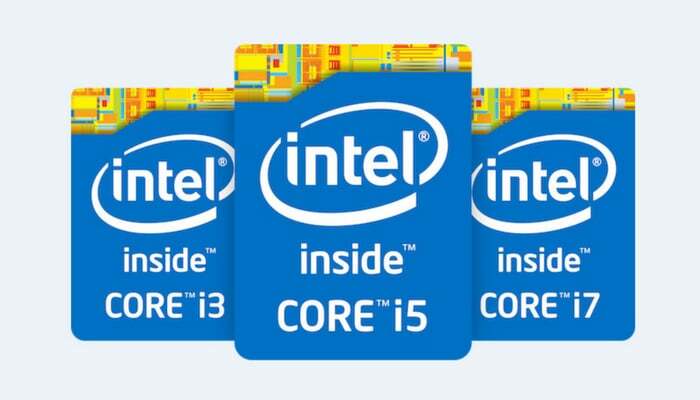 Intel still offers a fast CPU with great multithreading. We’ve seen the Ryzen lineup, now let’s see what Intel’s Core line brings to the table. If your goal is to try and push a CPU as fast as it’ll go, Intel’s Core line wins out over AMD’s Ryzen. Your base clock speeds are lower, but when Turbo Boost takes over you see significant increases in speed. As the case is with the AMD Ryzen line, the core line offers an excellent range of processors to choose from. They offer both budget and enthusiast-friendly CPUs. Unlike AMD, not every processor from the Core line is available to be overclocked. Intel has limited it so that only those with an X or a K in the model name are unlocked, allowing overclocking. I’m sure you’ve noticed that some of the CPUs have a letter at the end of the model name. These are identifier SKUs, they let us know certain features. X - Extended XFR range over models without. G - Indicates an APU model. These come with an advanced built-in graphics unit on the same die as the processor. K - Unit is unlocked for overclocking. X - Part of the Xtreme family, also unlocked for overclocking. T - Lower power variant of its counterpart without the T.
Even if you’re just beginning to delve into the computer hardware and customization world, overclocking can be a simple and safe process. But what do you need to look for? Which Processors Can be Overclocked? If you’re wanting to overclock, you’ll have to consider the following: Any Ryzen can be overclocked, while only the Intel CPUs with an X or K can be overclocked. AMD and Intel both offer us two ways to overclock: The BIOS, and a simple application. AMD gives us Ryzen Master and Intel gives us the Intel Extreme Tuning Utility. The Ryzen Master and Intel Tuning Utility are simple and intuitive overclocking utilities that you can use from right within Windows. It doesn’t offer as many settings as overclocking in your BIOS, but for a beginner who doesn’t want to chance to change a wrong setting in their BIOS, this can be a major bonus. If you’re going to overclock, you’re going to need adequate cooling. The more the CPU has to work, the more heat it’s going to generate. Most CPUs will come with a stock fan cooler setup. Some of these are adequate for minor overclocking, but others will only keep your CPU cool enough if it’s running stock speeds. It can also be hard to know what your CPU’s ideal temperature is, what other factors may come into play, and how to reduce your CPU’s temperature. Ryzen CPUs come with a fan cooler designed specifically for the thermal design power, or TDP, needs of the processor it comes with. Thermal design power refers to how much power the processor consumes and how much heat it generates. This will work for both stock speeds, and minor overclocking as well. If you’re either on a budget that doesn’t allow for a larger heatsink or an All-in-one (AIO) option, or you’re not sure if you will need one or not, then this is a great way to find out first. Intel CPUs only comes with a basic fan cooler. This should work at stock speeds as long as you’re not in a hot environment. If you’re wanting to overclock, however, you may want to consider upgrading your fan cooler to either a larger heatsink or maybe an AIO CPU water cooler. The AMD Ryzen and Intel Core line of processors both have their own group of chipsets they can utilize. Different chipset levels will unlock more features on your motherboard (More PCIe lanes, more USB 3.1 ports, SATA ports, etc). Ryzen CPU and motherboard chipsets are forwards and backward compatible. This means that a newer generation Ryzen will work with a motherboard chipset from an older generation, and vice versa. This makes upgrading your machine one piece at a time a much easier task, as you can upgrade either your motherboard or CPU instead of both at once. Intel CPUs only work with chipsets for each specific generation. A 7th generation Core CPU will not work in a chipset for an 8th generation Core CPU. This makes upgrading a core component of your system more complex. If you’d like to upgrade your motherboard or CPU to a newer generation, you’ll have to replace both at once. When it comes to value, both companies bring great things to the table. AMD’s Ryzen APU series of processors are great if you’re looking for a gaming PC on a low budget. AMD uses a scaled down version of their Vega graphics card to accompany either a 4C/4T CPU or a 4C/8T CPU. While this won’t run any games at 4k while setting to extreme graphics, AMD did design them to be used for gaming. You will need to budget for more RAM if you go with this though, as a Ryzen APU uses up to 2GB of your system memory for the GPU. Intel offers a CPU for everyone, even those looking for a power friendly build. With the low TDP, the low power T processors are a clear winner. Every Intel Core processor also includes a basic GPU built in, but these are basic graphics and are really only suitable for basic usages, like word processing. The only graphics cards that come on an AMD processor are those in the APU line. I know, this category was a long time coming. But the Ryzen and Core line of processors are very similar. Where one lacks, the other shines. I wanted you to get to know what each line has to offer before we approached this subject. What’s better for gaming? Multiple cores and threads, or faster clock speeds? Would a high core/high thread count CPU with an overclock be better than a higher stock speed and lower core/thread count? What are you looking for? A pure gaming machine to try and get as many FPS as you can? Or, do you want to game and stream at the same time? Maybe you want to game, but also use your computer as a workstation. These are all important questions to ask yourself when considering which CPU to buy. In general, games don’t return huge gains past a quad core. That’s not to say it doesn’t help to have more cores, but most games don’t get much of a performance boost. If you’re going for a pure gaming machine, a quad-core CPU with four to eight threads would be sufficient. This would make it easier to invest in a better GPU, which would proportionally offer a much larger improvement to your FPS than a higher core count CPU. If you plan on streaming while you game or creating content to upload, you’ll be better off with a higher core count CPU. It’s worth noting that all of the mid-level and higher Intel Core processors have at least 6 cores, and most of the AMD Ryzen processors at the mid-level-- and all of them at the higher levels-- have at least 6 cores. Moreover, even the lowest tier for both lines still have 4 cores. There’s no clear “best CPU”. Both companies offer a fantastic line of processors at a great price, and they make up for what each other lacks. There are cases to be made for both companies for gaming. If you’re looking for ease of upgrade, budget-friendly, or multitasking, then AMD might be for you. But, Intel has faster clock speeds for the budget user, and a higher ceiling for overclock speeds, letting you get those great leaderboard scores. Personally, I use a Ryzen 1700. I wanted a high-end gaming machine, but I still wanted it to be a well-rounded workstation, as well, for content creation. This allowed me to get a 6C/12T processor, while still allowing me to get a decent graphics card (RX 580 XTR). It also allowed for an M.2 drive upgrade for fast boot times. I hope this helps you decide which processor is the best fit for you, and I’d love to hear what you guys chose. I found this at 5am and read everything. Thank you so much for taking the time to write this as I know absolute f all about computers and this was super informative! My last computer died in 2012 and prior to that when I built my first computer I literally bought anything and put them all together haha. But anyway, thanks again.